In recession riddled Ireland, James Allen (Laurence O'Fuarain) is a banker who, after a family tragedy, has a change of heart about his career. Being rebellious and going against the system, James turns his back on his colleagues and starts a one man war against the bankers of Ireland. 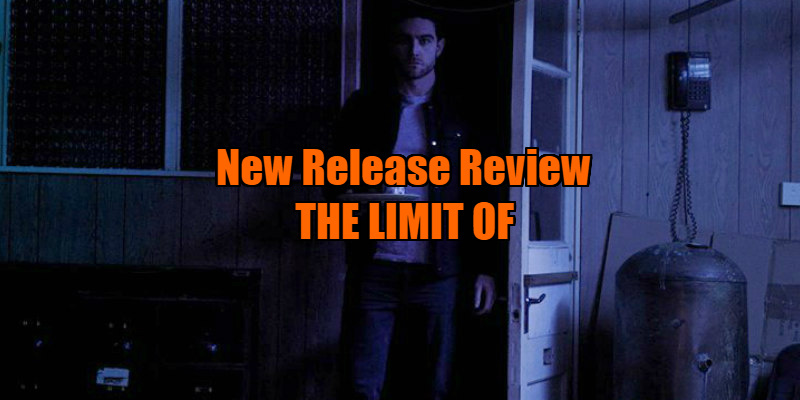 When his co worker, Alison Murphy (Sarah Carroll), discovers his plan, the story takes a turn for the better mid way through, when James holds her captive in order to complete his mission. This really is a film of two halves. The first half of the film seems to drag. It is made clear in the first 20 minutes what the set up is. However this goes on for a further 15 minutes with little character development and scenes of melodrama that seem out of place. The production value of the first half seems low, as does the acting. In particular, there is a scene where a greedy banker informs others how to make a sale on the back of a client's family member's death. This scene instantly reminded me of Alec Baldwin's famous rant in Glengarry Glen Ross. And that is not a compliment as it is nowhere near comparable. The same can be said with Michael Douglas' "Greed is good" speech in Wall Street. It is hard to know if this short scene is played seriously or purposely over the top Either way, it really doesn't work and sticks out like a sore thumb. Director/writer Alan Mulligan previously worked as a banker himself, and all the office scenes in the first half of the film may be very true to life. If he was aiming for the bankers to be robotic and uninteresting, he achieved his goal. That may very well have been his goal but it doesn't translate well to film. I'm not sure if the project received extra funding mid way through filming, which would explain some previously mentioned below par scenes. Whether this is the case or not, the film suddenly becomes more watchable and more importantly enjoyable. As I said, this is a film of two halves. Do not let the first 40 minutes of the film put you off as the pay off is rewarding. In the second half, the production value and acting seems to perk up drastically. The cinematography and set design are more pleasing to the eye. The narrative becomes more interesting, turning into a revenge thriller. Carroll delivers a superbly strong performance and seems a complete natural. I wish her character had more screen time. O'Fuarain's performance seems to pick up in the second half. He looks more comfortable in his role outside of the office. There are scenes of sexual tension between Carroll and O' Fuarain, which made me feel uncomfortable. This is a good thing, as their relationship during these scenes is not romantic at all. These scenes are directed and acted very well and did have me on edge that the rebellious banker was going one step too far. The director has his heart in the right place. You can really tell that this was a labour of love for him. The themes are strong and the film paints accurately what a grim time we are living in. I was completely behind the character of James Allen for the most part. Without giving too much away, the character has a very Fight Club mind set. But we're not allowed talk about that. It's easy to tell Mulligan had a distinct story to tell. It does deliver well in the end. But as mentioned before, you will have to be patient. This is a slow burner which eventually delivers. I just wish it delivered earlier. I can see this as a film that will divide audiences. I recommend you watch and decide for yourself. 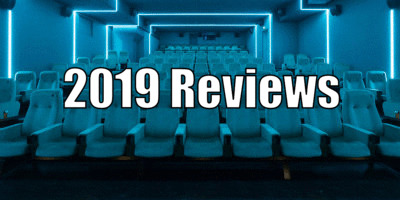 At the very least you will have viewed a stunning performance from Sarah Carroll and a promising directorial debut from Alan Mulligan. 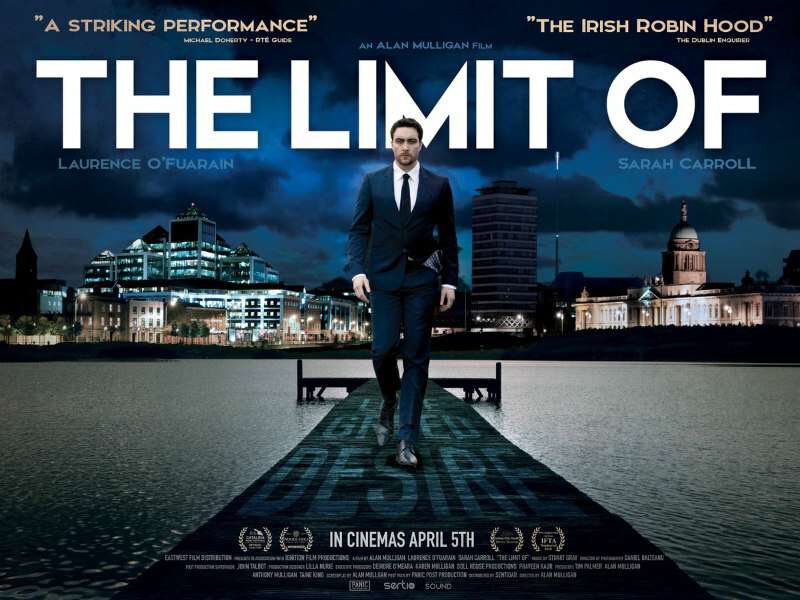 The Limit Of is in Irish cinemas April 5th.